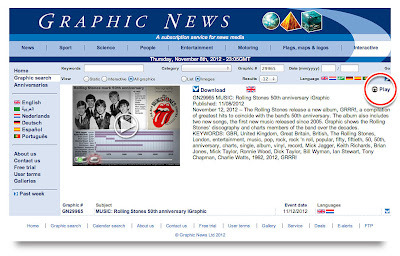 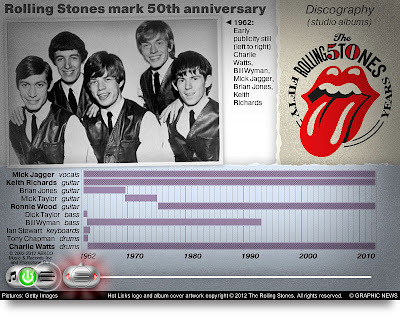 Check out my Rolling Stones 50th anniversary HTML5 interactive graphic, complete with studio album discography, band member history, photo gallery, and samples of their first single Come On and new single Doom And Gloom. 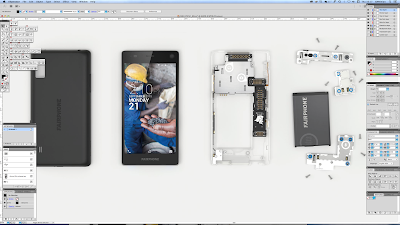 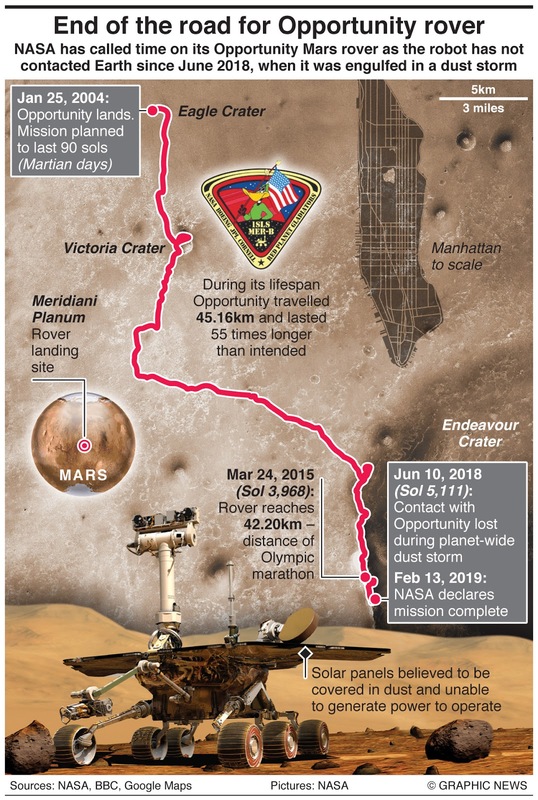 Did I squeeze enough into 800 x 600 pixels?! I think it's my most ambitious non-Flash interactive graphic yet (I used Adobe Edge Animate) and has been a labour of love for several days. 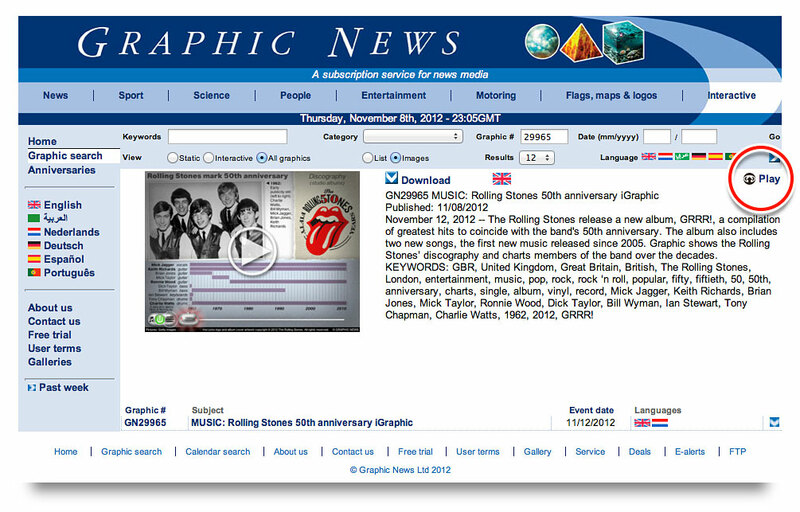 You can view it by following THIS LINK and pressing the Play button (shown in the red circle below). 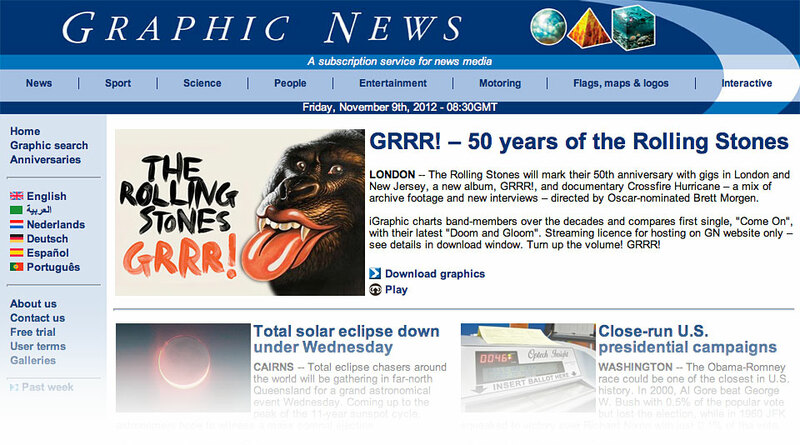 The Rolling Stones new album GRRR!, is out on Monday, November 12.